Let's compare the well-known local chain to our high school memories. Two paper plates arranged just so: the mark of a true large slice. Friday nights in the Malcolm house meant ordering a large cheese pie from Tony’s Pizzeria, which was a 20-second walk from our front stoop. 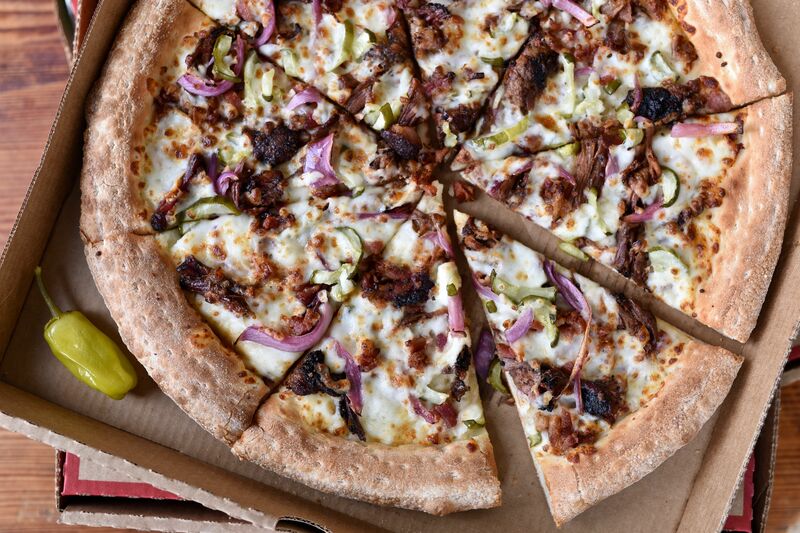 To honor pizza in all its glory, welcome to Pizza Friday! here at Gastronaut. 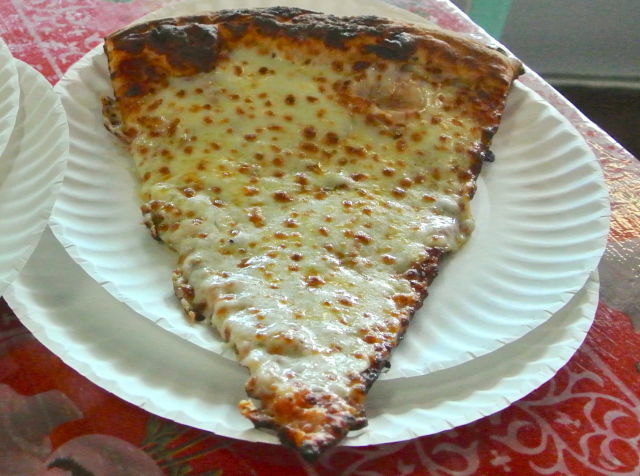 We’ll celebrate a different Houston pizzeria each week, rating its basic cheese slice on the pizzaaaaa! scale (the more As the better). 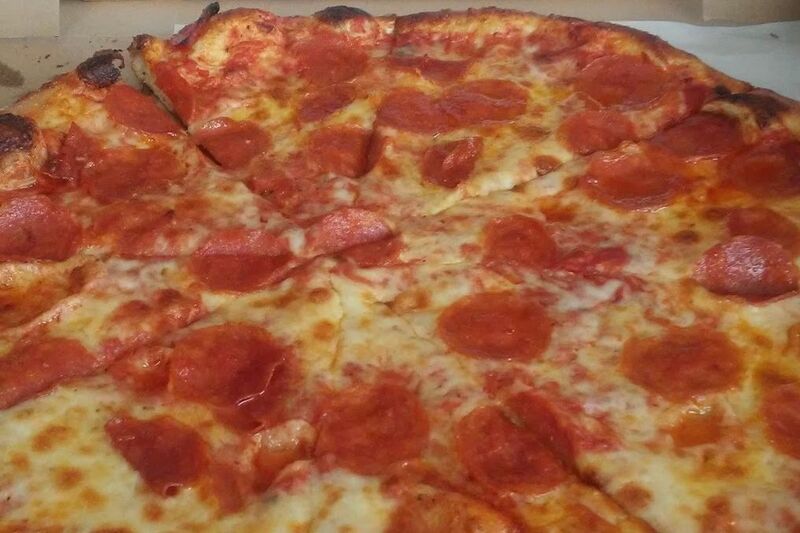 This week: Pinks Pizza (Heights Blvd). WE HAD UNLOADED ALL THE BOXES. So, my wife and I stood in the living room of our new digs, exhausted family members surrounding us, and breathed in the first restful moments of our new life in Houston. One of the closest spots to our house was one of the eight locations of the ubiquitous Pinks Pizza. As is my custom, I asked for at least a half without toppings so I could try the cheese. I wasn’t sure how I felt about it, comparing the dish to a cheese slice at a chain I won't name here. Admittedly, I was unfair to Pinks. I was judging a colder slice of pizza (I didn't eat right away because I was unpacking boxes), and that's no way to do it. During a visit to the Heights Boulevard joint weeks later, I realized my crucial error. There’s a pizza place in Philadelphia called Lorenzo & Sons (or, familiarly, Lorenzo’s) that’s famous for its large slices. 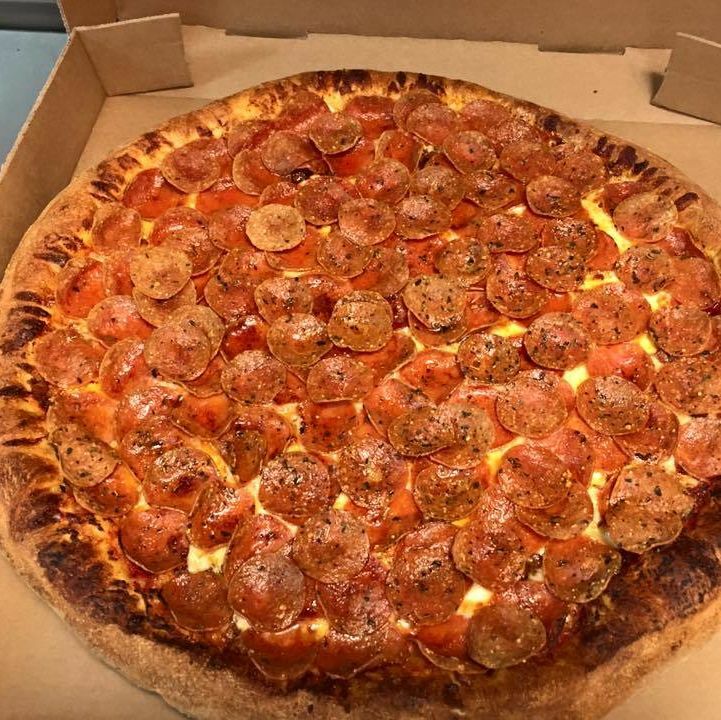 Order a plain (cheese pizza is plain in the East), which measures about 14 inches long. You fold it up so the grease pools in between, and you eat it with one hand. 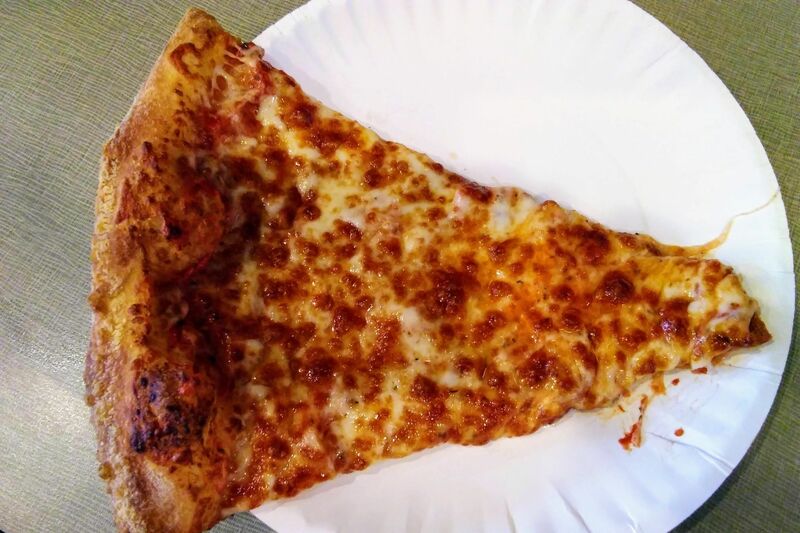 It’s not the greatest pizza, but if you want a quintessential plain East Coast slice, just really big, Lorenzo’s checks out. Also, Lorenzo’s original location is on South Street, a famed party spot for teens and 20-somethings. As high schoolers, visiting South Street meant escaping the usual mall madness to mingle among the pierced and tattooed. 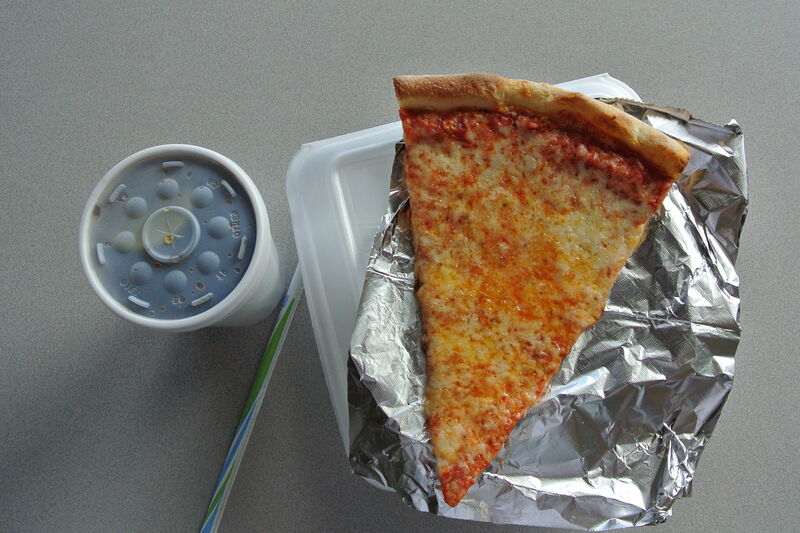 And for everyone, Lorenzo’s was the place to grab the quick slice. Loitering by the Wawa? Lorenzo’s. Drinking ‘til 1:30? Lorenzo’s. Hungover? Lorenzo’s. Sitting at Pink’s and perusing its larger-than-normal cheese slice reminded me of Lorenzo’s. As did the Jagged Edge and Musiq Soulchild playing on the radio, the no-frills open kitchen, and the magazine shoutouts framed on the walls. If only the menu was displayed on a magnetic board. Then I folded and bit into the scorching-hot slice, sucked in the cool air and mozzarella, and felt even more at ease. Watching the grease bubble under the cheese and accumulate in the folds, I imagined that my high school friends were sitting around the table with me. I realized Pinks’ hot slices are perfect for when you don’t want to cook dinner, when you’re craving a slice after the bar, or yup, when you’re unpacking boxes in a new house. Foldable and greasy. I love that it was hot, but it was so scorching hot that the milky mozzarella melted and pulled off the slice easily, proving detrimental. I also wanted more acidity—just additional tomato sauce, really. Still, a good, sessionable slice.